EMILY GILBERT, University of Toronto. 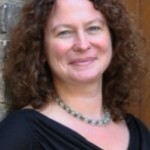 Emily Gilbert is an Associate Professor at the University of Toronto, cross-appointed between the Canadian Studies program and the Department of Geography. Her current research is focused on two projects. The first is an examination of how contemporary war is restructuring the ways that lives are valued (or not). The second attends to changing politics of the Canada-US border, and the ways that border risks – economic and social – are being used to discipline behavior and promote new forms of citizenship practice. She is the co-editor of War, Citizenship, Territory (with Deborah Cowen) and Money and Nation-States: The Past, Present and Future of National Currencies (with Eric Helleiner). Why have militaries been making cash payments when they inadvertently injure, kill or incur property damage in the ‘war on terror’? This presentation will examine the practices around compensation that are being rolled out in the battle to win the ‘hearts and minds’ of the population. It will attend to the ways that compensation is being cast as one prong of economic development, or in the military’s words, how money is used as a “non-lethal weapon” in counterinsurgency. While payments can help to alleviate hardship, they also raise significant issues regarding the standardization of the value of life, questions regarding legal and political accountability in war, and the changing role of the military.